Style up the season with on-trend holiday wrapping paper! 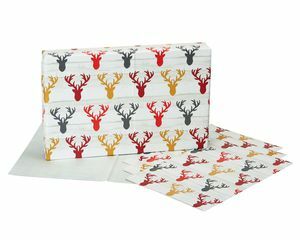 This fashion-forward flat wrapping paper bundle includes three different designs—hand lettering, reindeer and plaid—so you can pick and choose the right look for the right gift recipient. 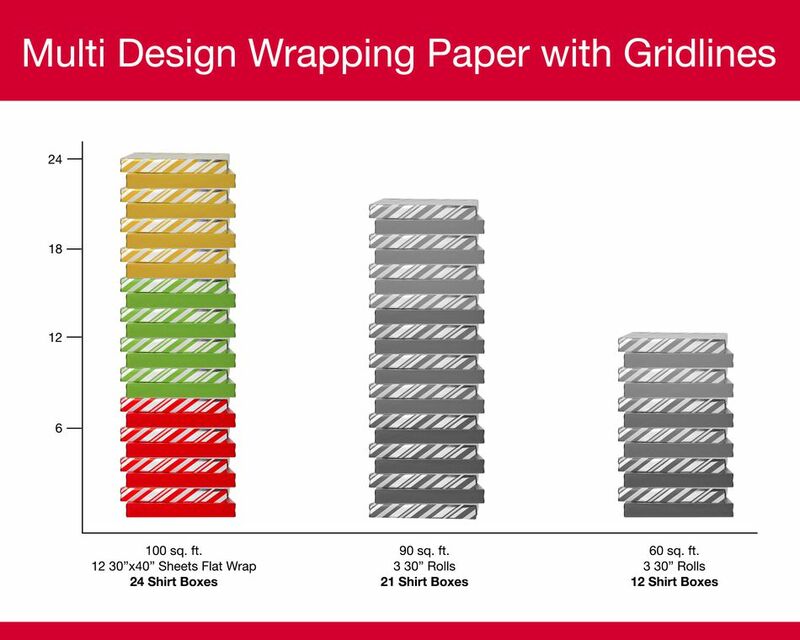 Each paper print features gridlines on the reverse side, making it easy to cleanly cut and measure the wrap you need, saving time and reducing waste. You’ll appreciate the minimal cutting involved—wrap two shirt boxes with one cut! Flat wrap is made of quality, heavyweight paper that won’t tear, isn’t see-through and is easy to cut. 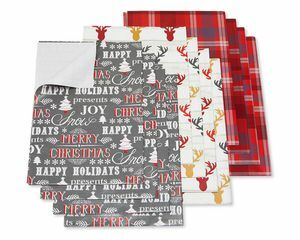 Use the wrapping paper sheets on their own for a clean look or get fancy with a gift tag, tissue paper decorations, ribbons and bows (all sold separately). 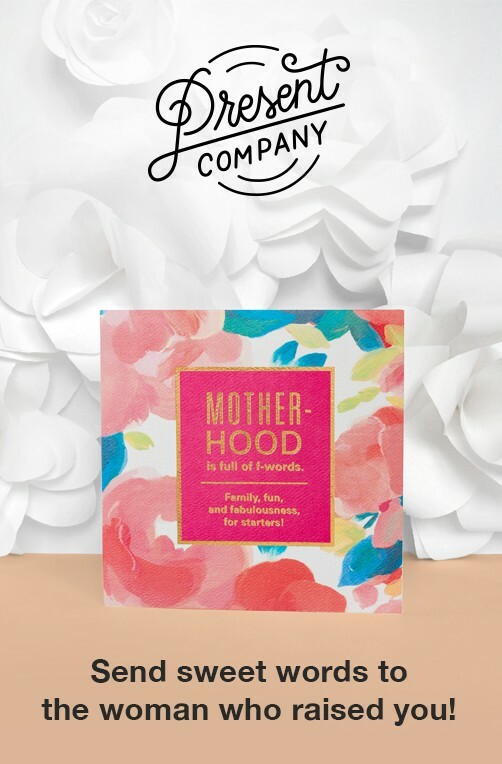 The flat, space-saving design is easy to store in your home gift packaging collection. Keep this versatile mix of patterns on hand for Christmas, winter birthdays and other seasonal celebrations! 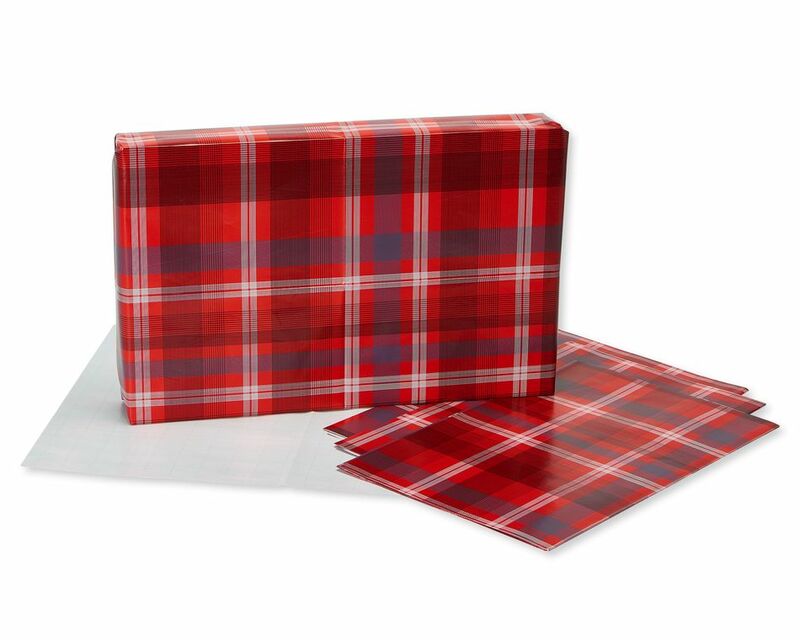 Each sheet of flat wrapping paper measures 30 inches x 40 inches. Each wrapping paper sheet can wrap approximately 2 shirt boxes that measure 15 inches x 9.5 inches x 2 inches. 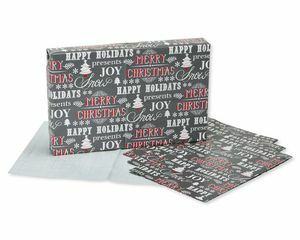 Total bundle wraps 24 shirt boxes! The multiple coordinating designs will add variety and style to your holiday wrapping!